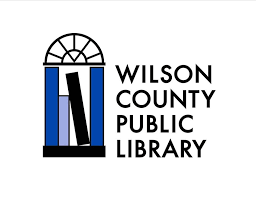 Help Us to Make the Wilson County Public Library a Great Place for Teens! You design the Teen Space! We are in the process of planning a redesign for the teen room in our library and our teen programs, and we are asking for your input. Please let us know what you think the library can do to make you feel more welcome and more satisfied with the library. * 1. HELP US DESIGN THE NEW TEEN SPACE! How important are the following in designing a teen space that works for you? * 2. You're designing the Teen space. What furniture would you like to see in the Teen Space? Please check all that apply. * 3. You're designing the Teen space. What should the decor look like? Please check all that apply. * 4. You're designing the Teen space. What technology should it have? Please check all that apply. * 5. HELP US DESIGN THE NEW TEEN PROGRAMS! You're designing Teen programs to take place in the Teen space. How much would the following activities encourage you to come to the library? * 6. You're designing Teen programs. How much would the following activities encourage you to come to the library? * 7. Did you know the library has a Makerspace? You can use a 3-D printer, sewing machine, art tables, and other cool technology. Have you used the Makerspace? What else would you like to see in the Makerspace? * 8. We hear from lots of teens that they loved going to the library as kids, but don't go anymore as a teenager. What else should we be thinking about as we redesign the library's teen space to welcome teens back to the library?